This simple website has the only purpose to share the Neverwinter Nights server you play on (or you own) with everybody over the web with a nice custom page or some fancy image created real time every time. All what we need is the IP or the DNS address of the server and the UDP port (usually the standard 5121 should be fine) and select what kind of template you like to show the data. Ask for a custom Dynamic DNS yourserver.shards.link hostname! Request a custom status page or image! Request a custom Dynamic DNS yourserver.shards.link hostname! 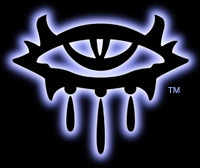 Visit the Neverwinter Nights Community Site! 2017.03.01 Fixed server country detection. 2015.01.04 Over 1'180'000 server requests in 2014! NWN is still alive! Happy new year! 2015.01.02 New dynamic DNS servername.shards.link is available! 2014.11.24 Iscandar can now also scan GameSpy-disabled servers (thanks Eriniel & GM_ODA from Aldohral server). 2014.01.02 Over 2'000'000 hits in 2013! NWN is still alive! Happy new year! 2012.02.01 Over 1'000'000 hits in 2011! 2011.07.15 Iscandar is evolving, I'm working on new templates! 2011.01.05 Iscandar android client beta is now online! Happy new year! 2010.12.03 Iscandar is now out of "beta". 2010.10.28 New "white" and "signature" templates now available! 2010.10.24 New "image" template now available! legacy NWN Community and extended by Scavenger Graphics.